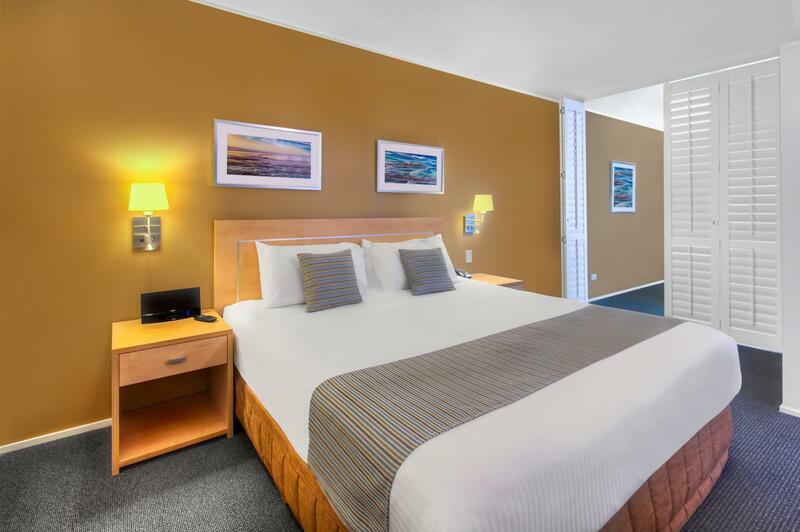 سواءً كنت مسافراً بغرض السياحة أو العمل, Ramada Hotel & Suites Ballina Byron هو خيار عظيم للإقامة خلال زيارتك بالينا. يقع الفندق على بعد 0.3 km من مركز المدينة، ويؤمن الوصول إلى أهم مراكز المدينة. سوف يعشق النزلاء موقع هذا الفندق، فهو قريب من أهم المعالم السياحية في المدينة كمثل Northern Rivers Community Gallery, بالينا بروفشنال, Ballina Naval & Maritime Museum . إن Ramada Hotel & Suites Ballina Byron حريص على توفير الراحة للنزلاء، فلا يوفر الموظفون جهداً في تقديم أفضل الخدمات وضمان حسن الاستقبال. تتضمن الميزات الرئيسية في هذا الفندق: مكتب الاستقبال على مدار الساعة, مرافق مخصصة لذوي الاحتياجات الخاصة, تسجيل وصول/خروج سريع, تخزين الأمتعة, واي فاي في المناطق العامة. لقد جهزت هذه الإقامة الفندقية بعناية فائقة لتوفر مستوى عالي من الراحة. في بعض الغرف يجد النزيل تلفزيون بشاشة مسطحة, حوض الاسترخاء, غرف لغير المدخنين, مكيف هواء, تدفئة. يقدم الفندق مجموعة رائعة من الخدمات كمثل مركز للياقة البدنية, حمام سباحة خارجي, مسبح (للأطفال)، لجعل إقامتك تجربة لا تنسى. 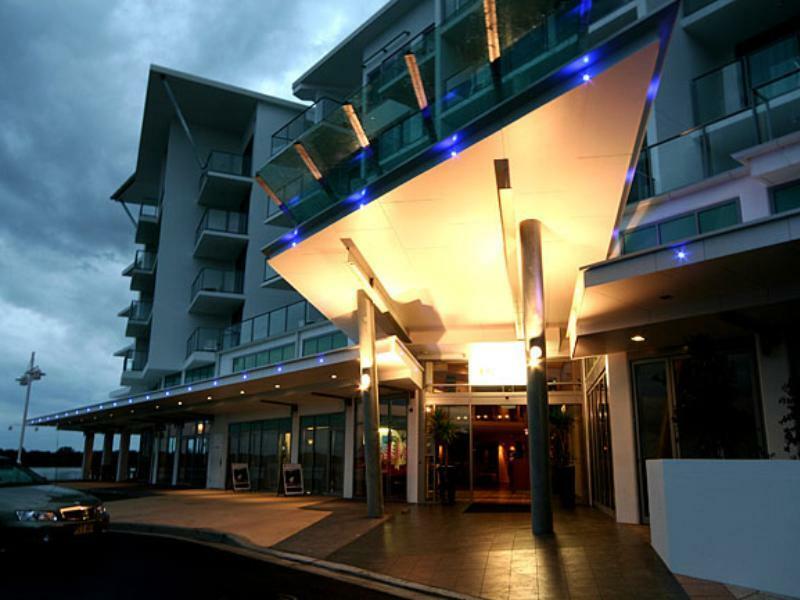 إن Ramada Hotel & Suites Ballina Byron هو خيار ذكي بالنسبة للمسافرين إلى بالينا، بما يوفره من إقامة هادئة ومرحة. It was a bit noisy. You could hear the people in the room next door and above. The bedroom had a lot of cosmetic wear/marks on the walls, which while not a big deal did cheapen the feel of the room. Also, the tv in the bedroom was not working. As I only stayed one night, I did not bother to get this fixed and just watched tv from the lounge room. Great room with everything we needed. Only complaint is our 'river view' was 70% parking lot and surrounding buildings, with only a partial river view. But this was a minor issue. The room was clean and a good size. Laundry room was very useful. Perfect location, right on the river and just a short walk to the main street. It offers clean comfortable accommodation from single rooms to two bedrooms, some with views over the river. All staff are friendly, polite and efficient at their jobs. There are also three restaurants on the ground floor offering good meals at a reasonable price. The pool area is very nice and well maintained. So if you want a great place in Ballina this is it. Great location easy walk to town, ample cafes downstairs, including their own bar and cafe. Beautiful walk along the river to RSL club. Most rooms have river views. Undercover parking (free). Staff welcoming, helpful and cheerful. We thoroughly enjoyed our three night stay in the spacious and extremely comfortable room. Everything we needed was there and it was absolutely peaceful with a water view. We will definitely come back to stay at Ramada when we next come to Ballina. Short getaway and the Ramada was an obvious choice. 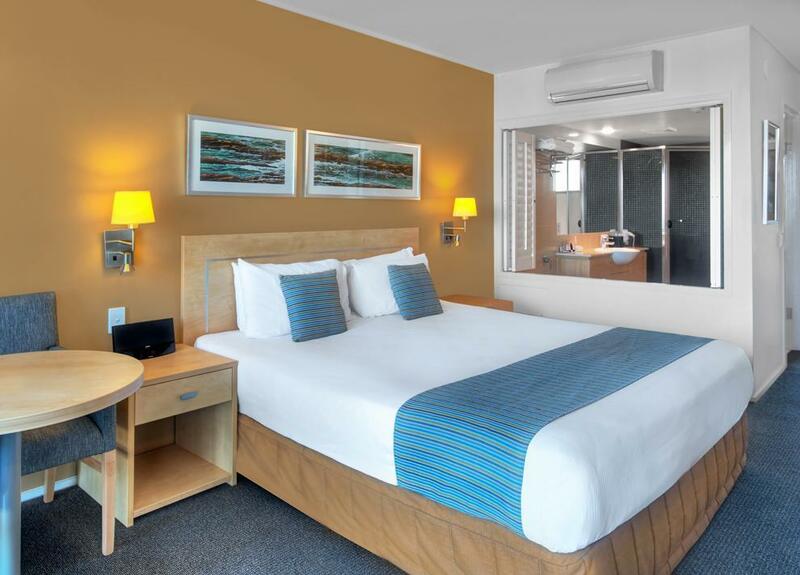 Location on the river, 3 restaurants on site and proximity to Ballina's shopping area are just some of the reasons why the Ramada is the place to stay. 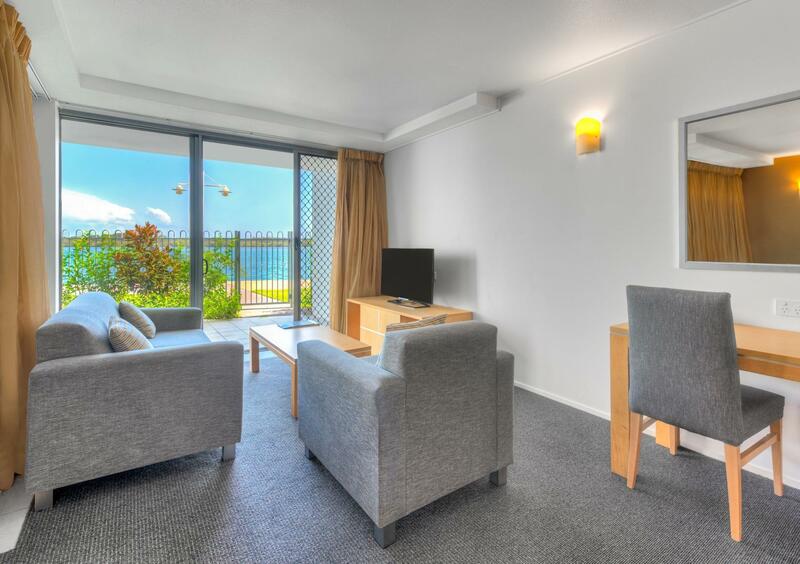 Large rooms with separate living area and a good size balcony make for a comfortable stay. Staff here are wonderful and the check in and check out are easy and quick and the facilities here are excellent. Make sure to ask for a room on the river and not on the side street which has only a partial river view. I booked this for my Son and his family for a night and it was better than I expected so much so I was tempted to stay there myself. While it was not a cheap option it did have ample space, river views, close to all amenities and very comfortable. Check-in was easy and the receptionist very helpful so another bonus. Would recommend this if you want a little bit of luxury. Location was good and there were rstaurants near the hotel. It was also walking distance to the town centre. It could have been a good experience but on our first night when we get back to our hotel room after having dinner, there were small cockroaches on the bench top where the television was placed. Great view over the river while drinking coffee on the balcony. The restaurant was ok, bit pricey, The bar was nice with a view over the river. Bonefish, the seafood restaurant next door had amazing food at reasonable prices. Best place to have breakfast was Wharf Bar and Restaurant by the water. Ballina is very very quiet even on a long weekend. Great place to get away, maybe even take out the boat. Would happily stay here again. The room we had was very nice a river view unit with a kitchenette , dinning table and lounge area . The bathroom was roomy and everything was very clean and fresh . Wished we were there longer. Close to the town and lovely walk along the river . Apart from misplacing my apple ciders could not fault this accomodation. Lovely staff, clean, comfortable bed and aircon worked efficiently. Look forward to Visiting again very soon. We love ❤️ your hotel. Room with ensuite spa and ocean-facing balcony was a great treat. Car parking on same level as room was also very convenient. Will stay there again if & when I get another chance. Very clean the bed was very comfortable but a King would have better. Staff are really friendly and helpful. Room was perfect for a 1 to 2 night stay. We will return for our stop overs on our way home . Thank you to all staff. We booked a stay at the Ramada using Agoda and a Voucher provided by Agoda arising from a medical related cancellation. 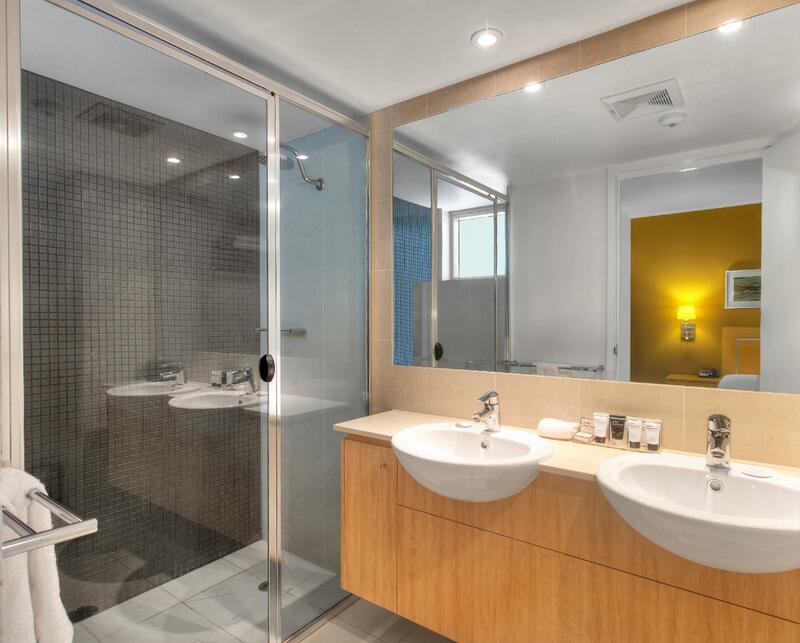 We were delighted with the facilities and friendliness of the hotel. Unfortunately, we encountered another medical situation which resulted in the need to curtail our stay by 2 days. Both the hotel and Agoda teamed-up to assist us with the cancellation and ensure a satisfactory resolution for us. This was done immediately and in good grace as soon as the circumstances were made known. We highly commend both service providers for actually delivering on a great customer service experience in difficult circumstances. We thoroughly recommend both to prospective travelers and holiday makers. I stayed here one night for business, was ok for this, The restaurant downstairs was quite good. Reception was efficient. My complaint is and that I wouldn't go back was that housekeeping knocked and entered very early and quickly into my room the morning I was checking out, this was very unprofessional and I did complain. Why the hotel doesn't have procedure for this is beyond me. 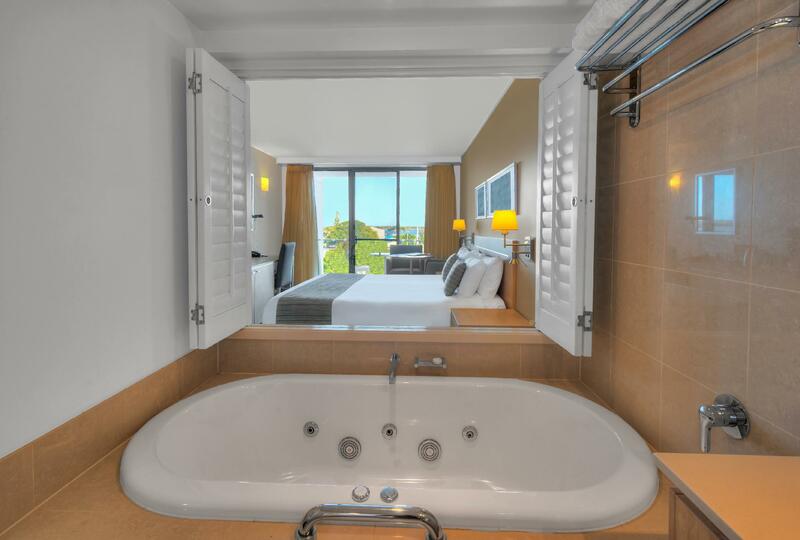 Perfect for a last night in Australia, a beautiful, roomy airy suite with a balcony overlooking the marina. Free wi fi within easy walking from town centre. Three restaurants located a bottom of hotel but sadly the one with wanted was fully booked. Generally very good. Disappointed at three features; lack of printing ability to print plane boarding pass : cheapest quality toilet paper : swimming pool hard for me to access- I have had two hip replacements.